It is situated within the colony of just 4 km North and is located in the heart of city. 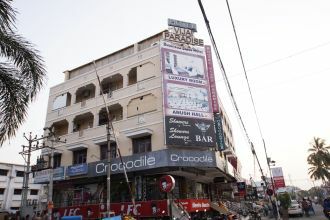 The place is located between Metthupalayam Road and Thadagam Road. The beautiful Colony also shares its borders with RS Puram, Coimbatore North Junction. Travellers can enjoy strolling in well-maintained Municipal Park. Apart from this there are several of shopping area, book stores and educational and cultural places. The very famous Little Flower Chuch in Sai Baba Coluny is another attraction of this place.